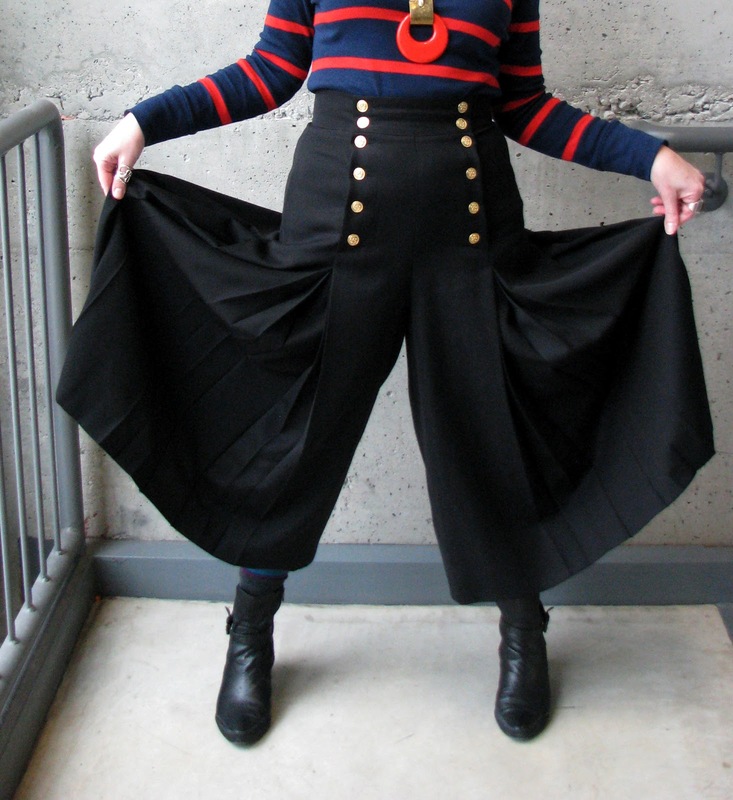 Forest City Fashionista: Anchors Aweigh! I found these flowy gaucho pants (split skirt, cullottes, whatever you choose to call them) made by the German company Mondi at Value Village. From the label and style it's most likely they're from the 80's. I fell in love with the sailor-style placket and gold button closure, and the multiple pleats that make them swish every which way when I walk. 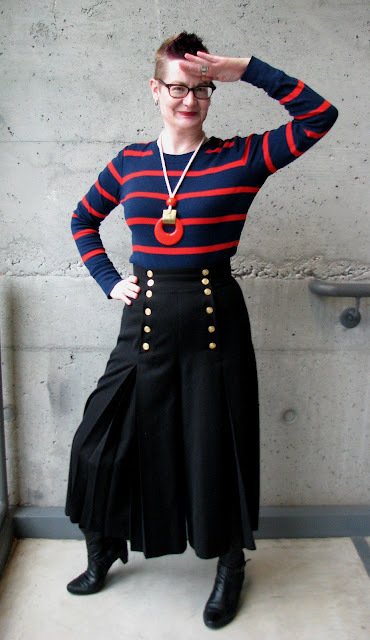 When paired with a striped shirt and a ceramic, metal and silk cord necklace from The Sentimentalist they created an outfit that made me feel rather nautical. It's a skirt! It's a pair of pants! You do nautical with perfection! You are smashing in the skirt/pants and your unique hair style adds to your glorious self expression. L-O-V-E! Love the pants, love the mix and love you! Wow, I just found you through my culture serf blog and have just joined you. I love love these kind of elephant leg pants. I have a similar pair - but not so nice as yours! Someone on the street called them samurai pants. I know London very well too, so how cool that I can read about and see familiar places! Great site.